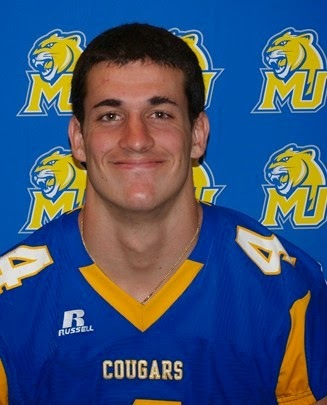 Misericordia University football standout Jeff Puckett has been named to the MAC Player of the Week Honor Roll. A junior quarterback, Puckett led the Cougars to their first home win with a 35-0 victory over FDU-Florham, Saturday at Mangelsdorf Field. He rushed for 224 yards on 29 carries and scored three touchdowns. In addition, he had a 17 yard touchdown pass. Misericordia, 1-2 (1-1 MAC), will visit King's, Saturday.